While many mainstream media outlets have fawningly depicted Governor Jerry Brown as “the Resistance” to incoming President Donald Trump, an appointment of a Big Oil-friendly regulator to the California Public Utilities Commission today appears to further taint the Governor’s already controversial environmental legacy. Governor Jerry Brown today appointed two Brown administration staffers, Clifford Rechtschaffen (pictured above) and Martha Guzman Aceves, to the scandal-ridden California Public Utilities Commission (CPUC). They will replace Catherine Sandoval and Michael Florio, whose six-year terms expire on January 1, 2017. The CPUC regulates privately owned electric, natural gas, telecommunications, water, railroad, rail transit, and passenger transportation companies. CPUC Commissioners serve six-year terms, require Senate confirmation and the compensation is $142,095 by statute. In a statement, the Governor praised the qualifications of Rechtschaffen and Guzman Aceves for the CPUC positions. "Cliff’s experience as a lawyer, teacher and specialist in environmental and energy matters equips him to do an outstanding job on the Commission,” said Governor Brown. “Martha has the experience, know-how and insight to well serve the people of California at the Public Utilities Commission. Both have sound judgment and a commitment to protecting ratepayers and ensuring safe, reliable and climate-friendly energy in California." The group said legal declarations show Rechtschaeffen fired Conservation Acting Director Derek Chernow and DOGGR head Elena Miller when the two refused to weaken oil drilling standards that protect drinking and irrigation supplies at the request of Occidental Petroleum. The oil company subsequently contributed $500,000 to Brown’s Proposition 30 campaign. Liane Randolph, a former Chevron lawyer and another Brown CPUC appointee, was also involved in the firing when she served as Brown’s appointee to the Natural Resources Agency, according to Consumer Watchdog. “Governor Brown has just turned the keys of the Public Utilities Commission over to another oil industry loyalist who did the industry’s wet work in firing tough oil well regulators in 2011, resulting in the loosening of well standards and a half million in contributions from Occidental Petroleum to the Governor’s causes,” said Jamie Court, President of Consumer Watchdog. Clifford Rechtschaffen, 59, of Oakland, has served as a senior advisor in the Office of the Governor since 2011, where he has worked on climate, energy and environmental issues, according to the Governor’s Office. In 2011, he also served as acting director of the California Department of Conservation. Rechtschaffen served as special assistant attorney general in the California Department of Justice, Attorney General's Office from 2007 to 2010. 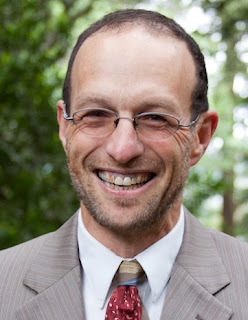 From 1993 to 2007, he taught environmental law, directed the environmental law program and co-founded the Environmental Law and Justice Clinic at Golden Gate University School of Law. In 2005 he was a Fulbright Scholar at the University of Ljubljana in Slovenia. He is the author of several books and numerous articles on environmental law and policy. He was a deputy attorney general in the Environment Section of the California Department of Justice, Attorney General's Office from 1986 to 1993, Reginald Heber Smith Community Lawyer Fellow at the Marin County Legal Aid Foundation from 1985 to 1986 and a law clerk for the Honorable Thelton Henderson at the U.S. District Court, Northern District of California from 1984 to 1985. He earned a Juris Doctor degree from Yale Law School. Rechtschaffen is a Democrat. Martha Guzman Aceves, 39, of Sacramento, has been a deputy legislative affairs secretary in the Office of the Governor since 2011, focusing on natural resources, environmental protection, energy and food and agriculture. She was sustainable communities program director for the California Rural Legal Assistance Foundation from 2005 to 2016. From 2006 to 2008, she worked with Swanton Berry Farm on human resources issues including a new employee-stock ownership program. She was legislative coordinator for United Farm Workers from 1999 to 2005, working on labor and environmental issues. In 2010 she co-founded Communities for a New California, a charitable organization promoting increased civic engagement of underrepresented communities. Guzman Aceves earned a Master of Science degree in agricultural and resource economics from the University of California, Davis. Guzman Aceves is a Democrat. Many mainstream reporters and editors have apparently done very little research into the actual environmental policies of Jerry Brown, preferring to act as virtual stenographers and press release writers for the Governor. Although I have written about Brown’s environmental policies in many articles published in an array of media outlets, it’s a good idea to review them once again as 2016 nears its end. The Governor’s “legacy project,” the Delta Tunnels/California WaterFix, poses a huge threat to the ecosystems of the Sacramento, San Joaquin, Klamath and Trinity river systems, in contrast to Brown’s claims that the project “could help native fish rebound from the edge of extinction.” The project is based on the untenable premise that taking more water out of a river before it reaches the estuary will somehow “restore” the San Francisco Bay Delta and its precious fish and wildlife species. Unfortunately, the California WaterFix is not the only environmentally devastating policy promoted by Governor Jerry Brown. Brown is promoting the expansion of fracking and extreme oil extraction methods in California and is overseeing water policies that are driving winter run-Chinook salmon, Delta and longfin smelt, green sturgeon and other species closer and closer to extinction. As if those examples of Brown’s tainted environmental legacy weren’t bad enough, Brown has promoted carbon trading and REDD policies that pose an enormous threat to Indigenous Peoples around the globe; has done nothing to stop clear cutting of forests by Sierra-Pacific and other timber companies; presided over record water exports from the Delta in 2011; and oversaw massive fish kills of Sacramento splittail and other species in 2011. Consumer Watchdog’s report, “Brown’s Dirty Hands,” documents donations totaling $9.8 million dollars to Jerry Brown’s campaigns, causes, and initiatives, and to the California Democratic Party since he ran for Governor from 26 energy companies with business before the state. The companies included the state’s three major investor-owned utilities, as well as Occidental, Chevron, and NRG. No Comment to " Group Blasts Brown's Appointment of 'Oil Industry Loyalist' to Public Utilities Commission "